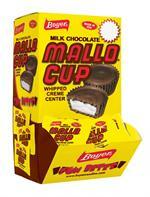 Often described as decadent, delicious, and full of chocolaty goodness, there are many ways to describe Mallo Cups. 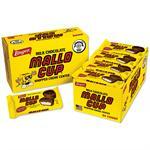 Mallo Cups are a favorite among candy connoisseurs everywhere, and for good reason. There are seldom better combinations in candy than gooey marshmallow and chocolate, except for maybe the flawless union of chocolate and peanut butter, which we offer too. 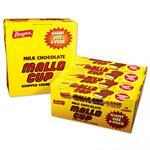 From the delicious combination of butterscotch and crunchy peanut butter found in our Smoothie Cups, to the classic Boyer Mallo Cup, you’ll find the very best assorted candy at BoyerCandies.com. Some may call it old fashioned candy, but we’re in the business of offering time tested and undeniably delicious recipes that started in the early Depression years. 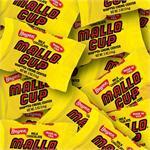 Sure, there are other chocolate marshmallow candy options that exist in the world, but none have been perfect quite like the Mallo Cup. 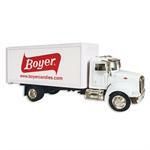 Whether looking for Peanut butter cups, Smoothie Cups, Mallo Cups or other delicious chocolate candy, indulge your sweet tooth with BoyerCandies.com. Our candy is proudly made in the USA .